The minute he showed me my souvenir, I was like "OMG!!!" 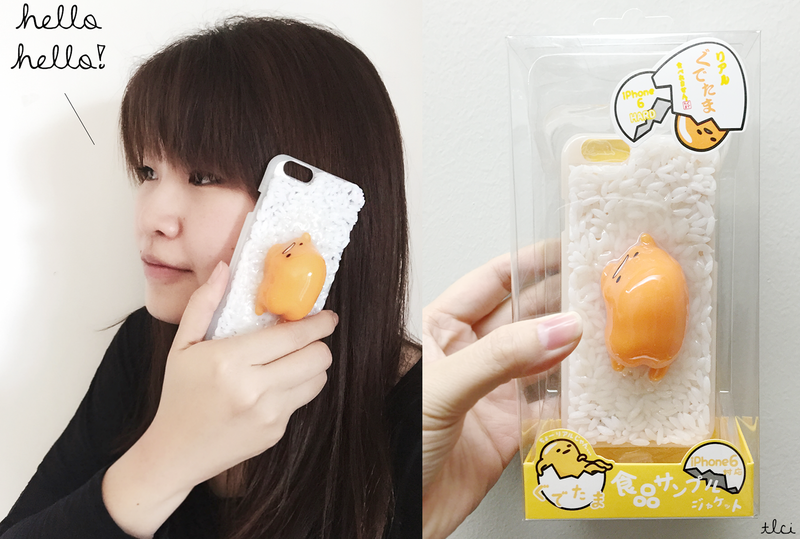 It's GUDETAMA!!! *faints*. Okay I didn't faint, I went snappy happy taking pictures of my cute iPhone casing from Japan. Which is not only adorably cute but also rare because it's not sold in Malaysia (or at least not yet!). 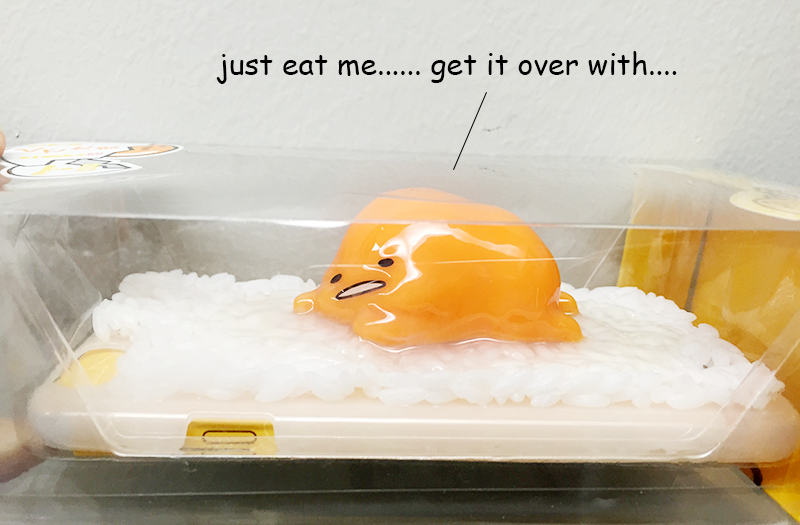 hello Gudetama, let me eat you! the short film on Gudetama, so cute! It's the latest character to join the Sanrio family, Hello Kitty's new friend. Not even near anyway like Hello Kitty and friends, this creature of depression is an egg named Gudetama. It's a yellow like glob with arms and legs and profoundly unmotivated by anything. He lives to be cracked open onto a bowl of steaming rice to be eaten by you. He can also be eaten fried on rice, as tomago sushi and dripping from a cracked egg. He's whiny. depressive, has a face of despair and highly "unmotivated". 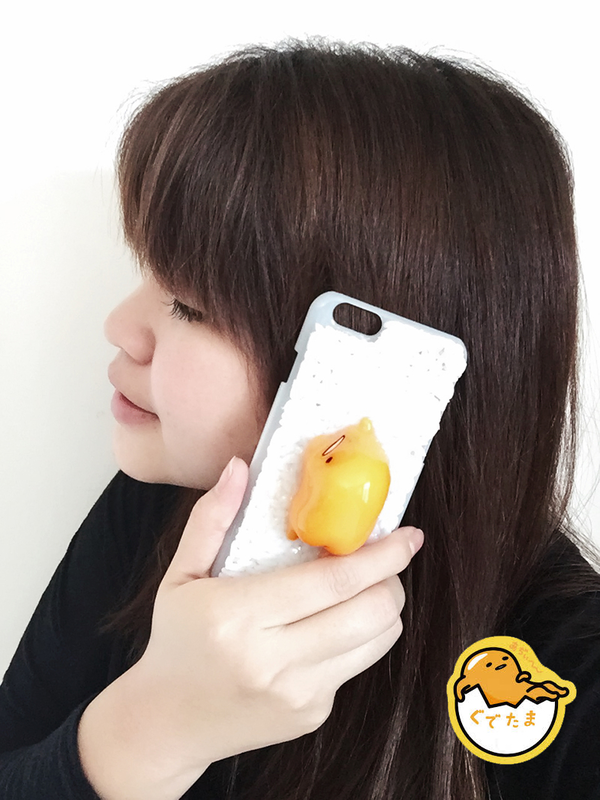 So if you happen to be travelling to Japan anytime soon, check Gudetama out :) your friends will crack up inspecting the funny looking egg-blob on your iPhone 6 casing. Here are possibly the best blog about phone gps trackers.